Truth by Kbaig: Impatience in Western Media on WikiLeaks about India…! Impatience in Western Media on WikiLeaks about India…! “Hemant Karkare clashed with USA, because USA propagates in world only their version of terrorism, USA wants to show only one face as terrorists to the world; USA wants to plunder the resources present in Muslim world, for this purpose it wants only Muslims to be considered as face of terrorism. At ten minutes past 1 o’clock, morning of 27 December a “live footage” of Hemant Karkare (right after 1 hour after start of 27th date) is being telecasted on TV. 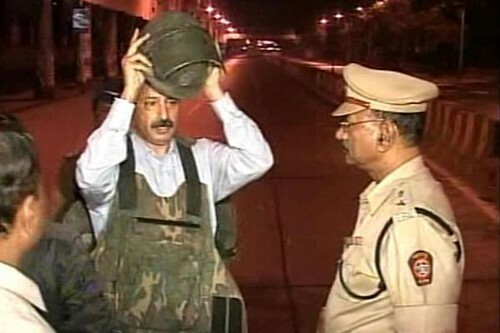 The media which you claim to be Free Media, media highlights Hemant Karkare himself wearing metallic helmet, putting on his Bullet Proof Jacket, and getting ready to participate in fight against terrorists. You call the film being telecast on 1:10 as Live Footage? What is reality? Reality is that on 10:30 Hemant Karkare has been martyred. Then at 1:10 what live footage you are showing and why? Brothers! Such like questions are now openly being raised by people of ATS. The people who were totally unaware, Karkare had personal security guards. He had a security team of 400 personnel of ATS, where was that team, he cannot go alone like that. We have leveled this allegation and we are saying this to whole Hindustan that there should be a judicial probe of murder of Karkare, Kamte and his colleagues. For what reason? Judicial Probe will bring truth to light. Because not only we but Mumbai Police also demand so. I am openly accusing that I have received hundreds of threats, thousands of times people have threatened me that Baale Sb (Baal Thakre) will not let me live longer in this world and that he considers me as traitor. You have just read few quotes from famous Indian Journalist Amresh Misra’s speech. Above mentioned speech was delivered on 26th November in Allahabad in a meeting in the commemoration of Hemant Karkare. The participants of this gathering included Hindu, Muslims and Sikhs persons from all religions. During his speech he raised such questions about the incidents in Mumbai hotels, which neither Indian govt. (always demanding that Pakistan should handover culprits to it) is unable to answer nor Pakistani govt. (Pakistan who is always assuring to not only to India but to America that non-state actors involved in this incident of terrorism will be soon arrested). Here I would like to give a brief introduction of Amresh Misra. He belongs to Mumbai. 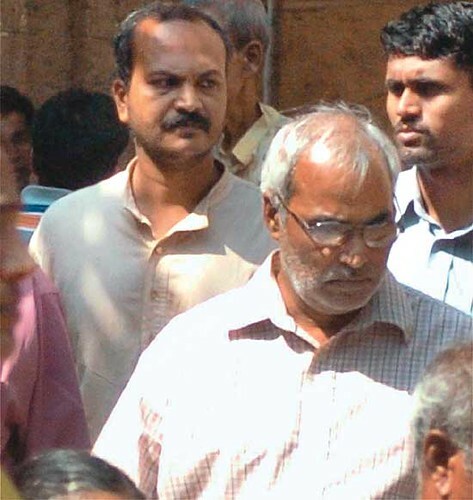 He is friend of Hemant Karkare since childhood. Due to such close relations he knows about Colonel Purohit, Sadhvi and Swami and there role in bomb blasts in Samjhota Express and other bomb blasts in India. He was aware of these facts when Indian media was unaware that on duty officers of Indian Army, RSS and secret agencies of Indian Army involved in shameful acts of bomb blasts in their own country. But Indian media was just accusing Pakistan for every terrorist activity in India. Amresh Misra was also aware of shocking confessions of Colonel Purohit, Sadhvi and Swami after arrest but before being brought in court. 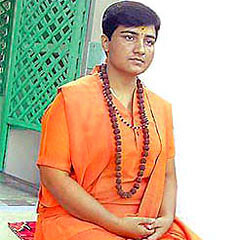 Amresh Misra also knew that Karkare has been threatened from Hindu Extremist L.K. 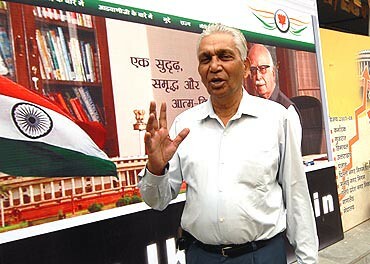 Adwani, RSS, Military Intelligence and RAW. In spite of this Chief of Indian ATS had decided to bring forward the crimes of Indian Army and Hindu RAW. Because they were murderers of thousands of innocent persons. 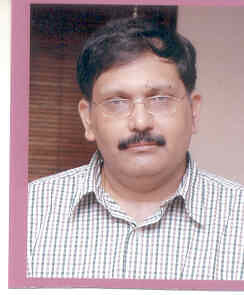 Amresh Misra had informed his journalist friends through e-mail about the bloody drama of Mumbai and purposes behind it right after four hours of terrorist activity on 26th November 2008. He had informed his friends all over the world that Hemant Karkare has been murdered and that the alleged drama of attacks on Taj Mehal and hotel Oberoi has been staged only to remove Karkare, because Karkare was not ready to leave on duty officer Colonel Purohit at any price. 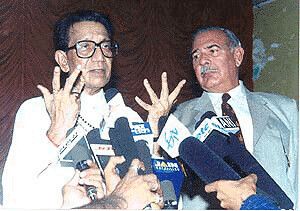 Afterwards in his writings Amresh Misra has also accused owners of Hotel Oberoi and Taj Mehal for being involved in the murder of Karkare. He has a clear proof that how ten terrorists can enter into hotels present in such a high security zone with heavy weapons that they are capable of facing a brigade of Indian army for 62 hours? This Indian journalist had nothing to do with Pakistan he just wanted to tell the world that India known as secular on international level is only country whose armed institutions are busy in growing terrorism along with Hindu extremists. So that internally Muslim minority could be suppressed while on international level Pakistan could be left alone on international level. 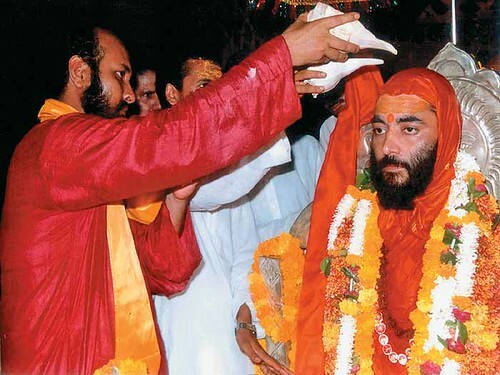 Amresh Misra or other journalists of India do not demand judicial inquiry of alleged murder of Karkare, they know that any of such inquiry will not only reveal the real murderers of Karkare but will also unveil biggest network of terrorism in front of world, which is supervised and practically supported by Indian Army, Secret Agencies and Hindu Extremists. All these concerns have been also supported by documents published on WikiLeaks on 9th December. They include more shocking disclosures about Indian army. In these documents there are such documents in which American Ambassador has severely criticized ex and present Chief of Indian Army and also expressed concerns about Indian nuclear facilities. Especially the links between Indian forces and Hindu extremists’, activities of Secret Agencies in Pakistan, armed Indian interference in Baluchistan and Waziristan, in order to pressurize ISI and push Muslims of the area behind the plans of Hindu extremists and Indian army are important topics of these documents. In a document the meeting with Hemant Karkare has been discussed, it is written in documents that Hemant Karkare wants to unveil the network of Indian army and Hindu Extremists. But he is also afraid that Secret agencies and Indian army will murder him. For this he also forwarded a request to Indian govt. that he is concerned about safety of his family. According to disclosures of WikiLeaks Hemant Karkare told US ambassador the names of on duty officers and how they conduct terrorists activities in India, he also told US ambassador that how Colonel Purohit destroyed Samjhota Express. These letters sent to Washington from American Embassy in New Delhi have significant concerns about ex-Commander in Chief Lt. General Primnath Hoon. It is written in those documents that General Hoon is supervising special wing of Hindu Extremists, it has full technical, logistic and financial support of Indian army (Keep in mind that General Hoon is running camps of terrorists in India where young Tajik, Uzbek, Bloch and Pakhtoon are brought via Afghanistan. There they are trained for Gorilla war, use of automatic weapons and suicide bomb blasts. General had already confessed this in an interview with proud that he is doing this to defeat Pak-Army and ISI). On the night of 26th November 2008 Hemant Karkare was murdered, in reaction to his murder American Embassy in New Delhi informed American govt., “We have lost an important link and proof”. In this letter they again repeated concerns of Karkare, "he will be murdered". It is written that Hindu extremism has taken form of Time bomb. It is more dangerous for region as compared to Taliban or al-Qaeda. Moreover American govt. has been advised that including Hindu Students Council of America all organizations collecting funds should be banned because these Hindu organizations are collecting these funds for extremist Hindus of India. WikiLeaks have become cause of shame for international last two weeks however as soon as some documents about India have been disclosed western media has become restless. That western media, which has made Pakistan "punching bag" since long ago. Even if a single leave is broken Pakistan is severely blamed for that, even the terrorist activities within Pakistan are used against Pakistan. Neither can it see corpses of Muslims burnt alive in Gujarat and Ahmadabad nor genocide of Muslims in held Kashmir. Their restlessness for India was so severe that at once the WikiLeaks published in Pakistani newspapers were rejected as being suspicious and unverified. On 10th December in daily Dawn a long article has been published by representative of Guardian "Declan Walsh". In this article he has tried to prove that Disclosures of WikiLeaks about India are actually reaction to those WikiLeaks which had created problems for Pakistani political and military leadership. The article of "Declan Walsh" with the title of "Some Newspapers Publish Fake WikiLeaks Cables against India" is not for loyalty with India but also a proof of aggressive behavior of western media towards Pakistan. however all of these struggles to prove WikiLeaks about India as unauthentic went in vain when disclosures of WikiLeaks about secretary general of ruling Indian party Congress and son of Rajeev Gandhi, Rahul Gandhi were made. In these disclosures it has been revealed that Rahul Gandhi thinks Extremist Hindu Groups as a threat to sovereignty and integrity of India. Rahul Gandhi told American ambassador in New Delhi that Hindu extremists are increasing disputes with Muslims under a specific agenda and if this is not checked threats to integrity of India will increase. These thoughts of Rahul Gandhi met severe criticism from BJP leaders, someone asked him to get mature, and other advised him to leave politics (although American has said that he is well experienced politician) but most interesting was the reaction from the spokesperson of BJP, according to him Rahul Gandhi is speaking language of Pakistan and Ajmal Qasab.